I feel like I have done so much since I last wrote about what I’ve been up to. It’s hard to keep up with blogging sometimes because I’m having so much fun and spending my time really living here. I last wrote about the Arab Bath ruins and how I would be going to the only genuine Arab Bath house that is still running in Granada today. 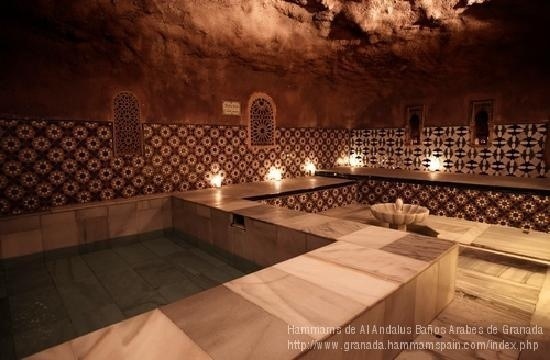 Last Friday I had the chance to go to Hammam, that very bath house. It was genuinely an experience like no other. I booked a night appointment that began at 6pm, arrived, and was lead to a changing room that was incredibly warm. I put on my bathing suit and was given brief instructions on how the baths function and then I had the freedom to move about the baths as I pleased. The first room was the Cold Bath room. However I will say that the only think that was cold in that room was the water. The floors were heated and the air was incredibly warm. Even the benches to sit on were heated. The whole room was so comfortable, I was shocked when I put my foot into the cold bath. The water was so cold that I could only go in up to mid-thigh. Although I know that cold water is good for your circulation, I couldn’t bring myself to sit all the way. The next room was a large open space with more heated floors and a heated bench with a tray of Arab tea to which everyone could help themselves. There was a section of the room with small benches only about 5 inches off the floor that were incredibly heated with a small sink. These was the hot stone room. I sat on the warm stones and let myself sweat out any stress I had from midterms or anything else from the previous week. When I filled the bowl sitting next to me with water from the sink and poured it over my legs, the excess that hit the stones created a steam and I relaxed even further. The room was dark, but there were candles in every corner-groups of them. It was really peaceful. The hot bath was on the other side of this hot stone room and it was about the temperature of a hot tub. This bath was really shallow, so in order to fully submerge yourself you had to lay back in the water, which almost put me to sleep. This room was really dark too, probably the darkest of all of them, and had only a few candles illuminating the space. When you looked up, there were star-shaped cut outs in the ceiling to allow in a small amount of light. When the baths were running centuries ago, these stars didn’t let in light but rather let out steam from the baths. The next room was the largest and the brightest (though bright is used in an interesting way here because all of the lights were still off, there were just many candles lighting the room and one could see perfectly clear). It was the warm water room. I would compare the temperature to a normal bath that one would draw themselves or like the temperature of a pool in the south (Florida, perhaps). It was so large and deep that I could easily swim around if I were the only one in there. 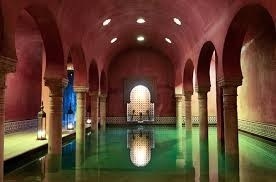 It’s large because the original Arab Baths, the people would socialize and talk about the weather or politics here. In the past, this bath was the least relaxing and more for socializing, but that day I found it perfectly peaceful because they discourage conversation in the baths to maintain the silence. The last room was a steam room which was like a sauna. I didn’t think I would like it because I don’t like the feeling of excessive sweating when I’m not doing anything. I don’t mind it when I’m exercising but just sitting and sweating-gross! But it was actually incredibly nice. I only stayed in for 5 minutes because it was almost too much to take, but I couldn’t even tell I was sweating because I was already wet from the baths to begin with, so it didn’t bother me at all. in fact, I really enjoyed it. After and hour and a half of being in the baths, I received a 20 minute massage- my first one! He used lavender oil and it felt really nice. Although it was really relaxing and I felt great after, I would never pay 60+ dollars for one like people do in the USA. I was happy it was included, but I think what masseurs charge in my country is a little ridiculous. I really liked observing the people in the baths. Not because they were all in bathing suits! But rather, because being in the bath was like being in a cultural melting pot. Wandering the rooms were Spaniards, Americans, British, Japanese, and other Europeans all sitting in an Arab Bath house in Spain. It felt like everyone came together to relax and enjoy the peace, which brought me to thinking that-although only Arabs were allowed in the bath houses- it’s exactly what happened centuries ago. People of all ages and classes gathered to relax and enjoy blissful peace. It was truly a unique experience. 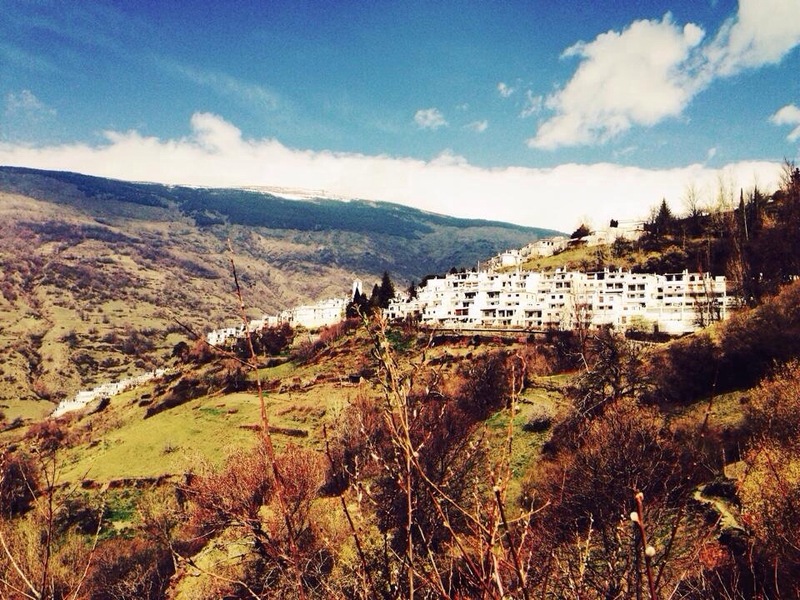 On that Saturday (a week ago from today) my group- API- went to a village in the Sierra Nevada Mountains called Las Alpujarras. I really enjoyed this trip even though it turned out differently than I expected. I thought we would be doing a ton of hiking (which I discovered that I love and I can’t wait to invest in some good hiking boots when I come home for all of my future adventures), but we didn’t. 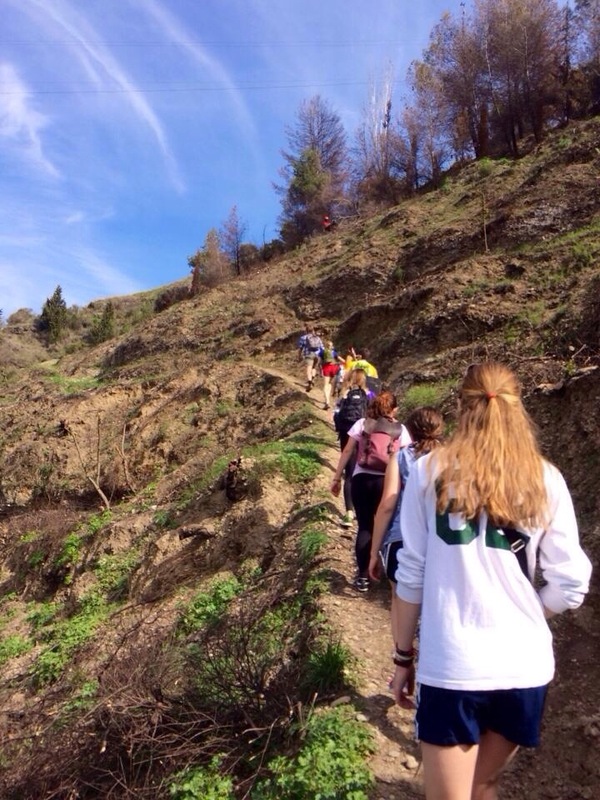 We did some moderate hiking and a lot of learning which, if you know me at all, is just as good! 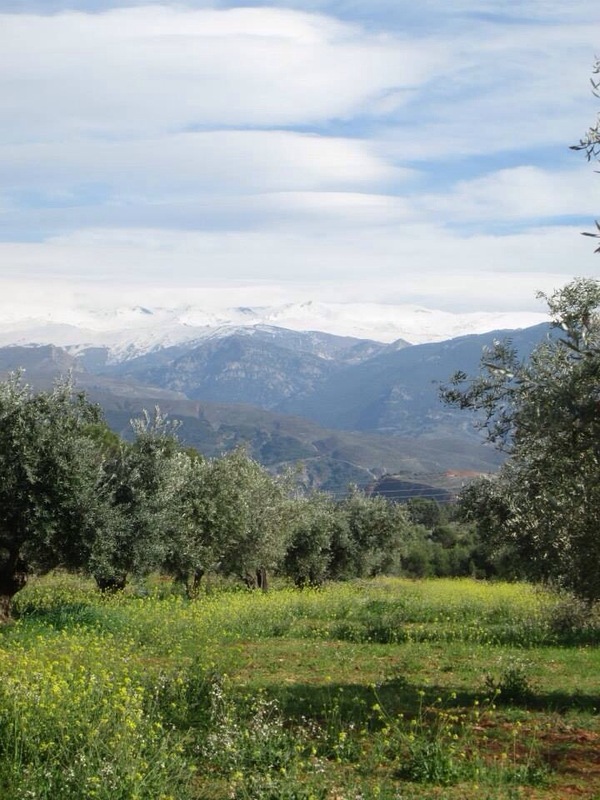 We stopped in one part of the village to learn about how the people of the Alpujarras make Jarapas- a special type of rug that is common of that area. 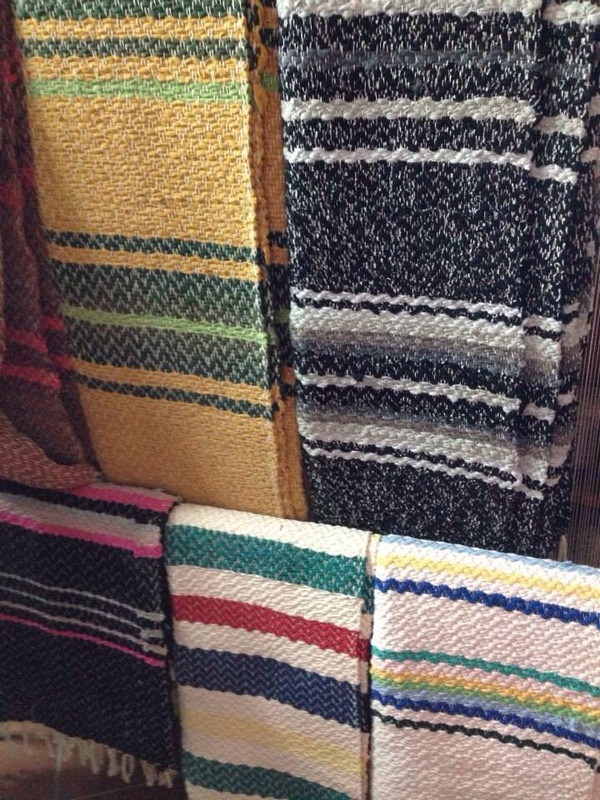 The woman made them with a 200 year old loom. The spool of thread was replaced once a year (it was huge) and takes 8 hours to add another spool. For that reason, once one carpet is finished, she keeps it attached to the spool until two more are complete and then cuts it off to avoid having to re-set up the loom. A small bath mat sized jarapa takes her about 4 hours. They were beautiful and if I thought I’d have enough space in my suitcase, I would have bought one. Perhaps I will go back before I leave! I enjoyed a picnic lunch in the sun and found a small space on a rock wall overlooking the mountains to enjoy it. There, I took a quick nap and relaxed. Overall, it was a really enjoyable day. Even the bus ride to and from was incredible, looking at the mountains. Mom, you would NOT have liked the trip up the mountain. The road was too narrow for your Honda to fit but we were in a giant coach bus going up, up, up. Can’t wait to show you more pics! On Sunday my host family treated my roooommate and I to lunch at a vegetarian place called Raices (meaning “roots” in Spanish). It was incredible. We started with roasted artichokes and pickled peppers (thank you Peter Piper 😉 ) and then I enjoyed mushroom quiche with raisin couscous and a red cabbage col slaw. That day I cracked up because “col” means cabbage in Spanish, so now I know why we call it col slaw! The word must come from similar origins. My roommate and I shared a cranberry and yogurt cake for dessert! It was really sweet of them. We both enjoyed ourselves a ton and appreciated the lunch a lot! As I said before, I have found a love for hiking while being here, so I went on a hike with some of my peers and friends on Monday. It was challenging (especially because I don’t have my good sneakers with awesome traction), but I REALLY enjoyed it! 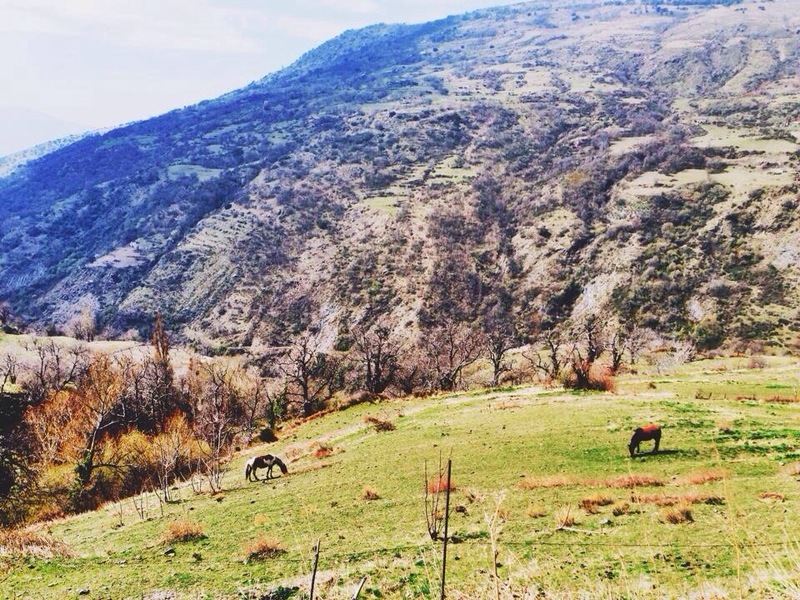 We climbed up a mountaain in the valley behind the sacramonte (“sacred mountain” in English where people live in beautiful cave homes on the side of the mountain). From the top, we could see all of Granada. Just when I star to think my city couldn’t possibly get more beautiful, it does. Wait, I’m a normal young person? This weekend, I have been trying new tapas bars with my friend Elisha. She showed me a place that serves only seafood tapas which I LOVED and a place that had amazing couscous and a really nice owner that we chatted with. We also went to the Irish bar near school and chatted with Paddy, the owner for awhile. The reason this is so weird for me is because I would never consider wandering the streets of a city at home looking for new places to explore. I feel like a real young person. I even stayed out until 3AM last night like a true Spaniard young person (not entirely true, they stay out til 5 or 6, but I would die if I did that). It’s nice to feel like I can finally have my “rebellious” stage of my life without actually going crazy, and simply exploring and living like a Spanish girl. Currently, I’m sitting in a coffee shop called Loops. I’m pretty sure it’s basically dunkin donuts for spain but it’s warm (it’s like 40 degrees out), dry (and raining), and has wifi and good coffee so really, what more could you ask for? If there’s anything else you’d like to know about my time here just comment to this or any other post and I’d be happy to share more with you! Thanks for reading!